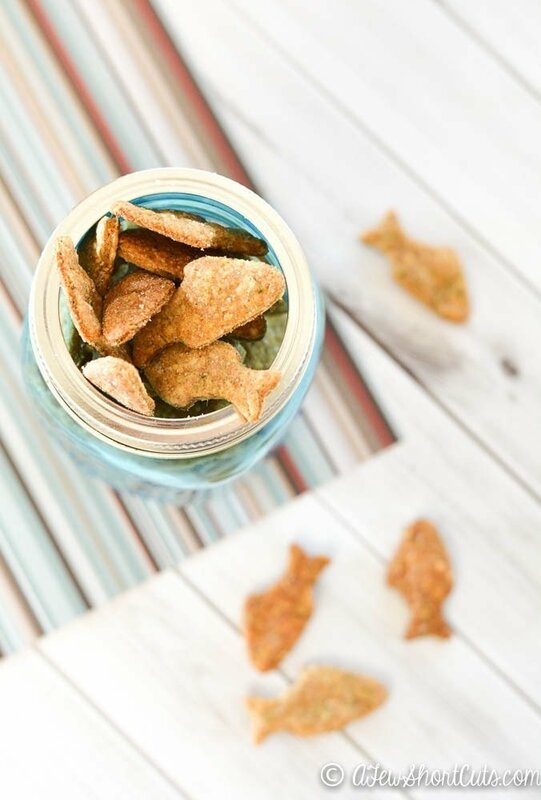 Here is a fun summer snack for the kids. These are also PERFECT for shark week! 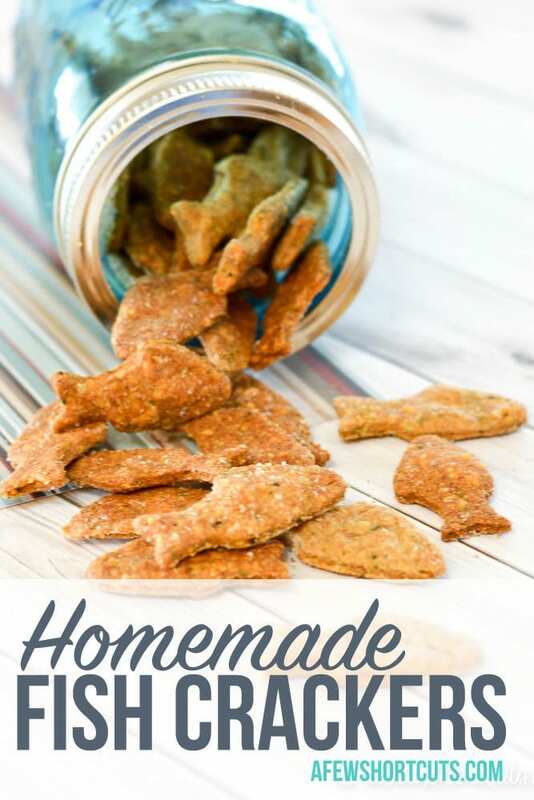 Check out how easy and tasty these Homemade Fish Crackers are! SO SO SO much better than store bought, and better for you! 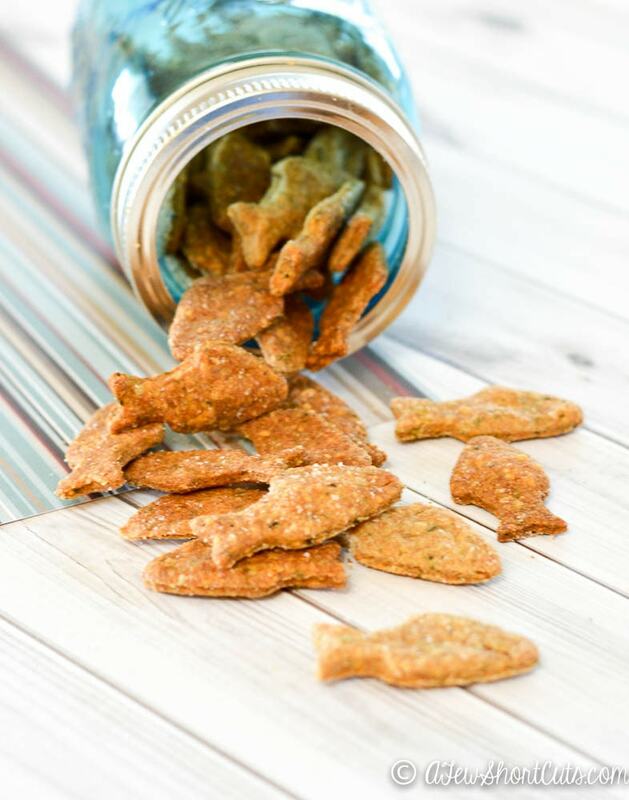 These are fun to add to the Beach Bum Chex Mix too, and adorable in lunch boxes! 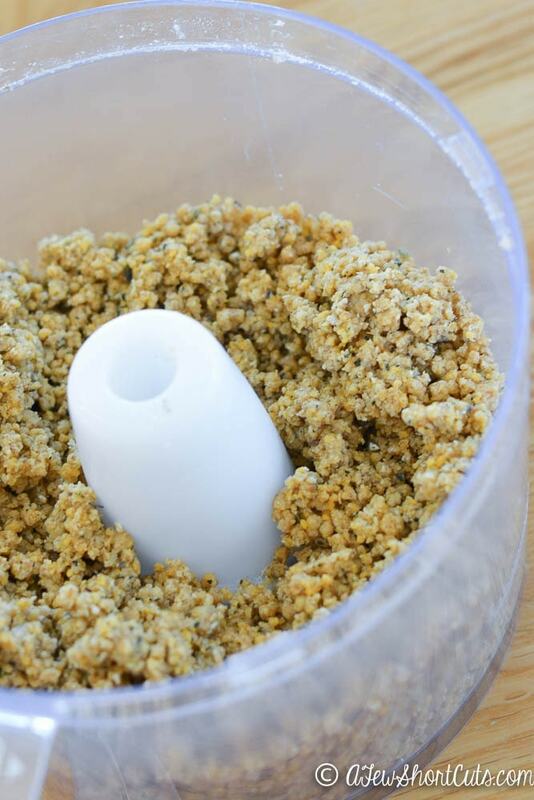 Add oatmeal to a food processor and process until fine. Add flour, wheat germ, salt and herbs de provence. Process until combined. Add water, olive oil and cheese. Process until dough begins to hold together in a ball. It took mine a few minutes, and I ended up adding a little more water because it seemed dry. On a floured surface, roll dough as thin as you can. Cut out shapes using a cookie cutter or knife. I used a 2 inch cookie cutter similar to this Fish Cookie Cutter! If you use a bigger or smaller cookie cutter you are going to want to adjust your baking times. 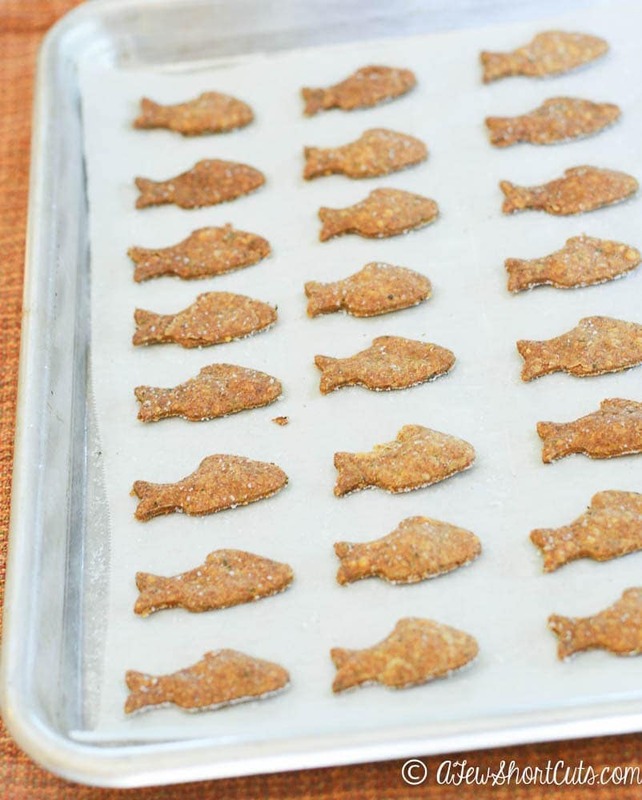 Place on parchment paper lined cookie sheet and sprinkle with salt – I used kosher. Using the palm of your hand, press the salt into the dough. Bake at 350 for 15-20 minutes or until golden. On a floured surface, roll dough as thin as you can. Cut out shapes using a cookie cutter or knife. Place on parchment paper lined cookie sheet and sprinkle with salt - I used kosher. Using the palm of your hand, press the salt into the dough. I always over salt, because half of it doesn't stick and the other half will come off when removing from the pan! Bake at 350 for 15-20 minutes or until golden. Check the oven around 10-12 minutes so they are not too golden brown. Absolutely adorable! I would not have thought it would be so easy!